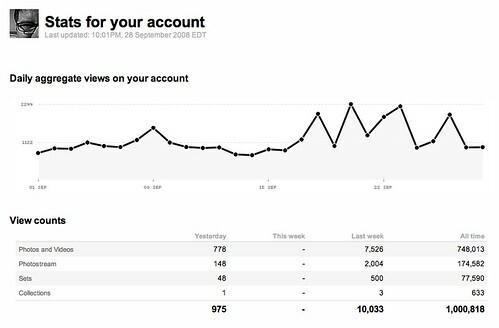 At some point last night I received my 1,000,000th Flickr view. I’ve said it here and at events, we take to what we’re passionate about, and lately for me that’s been photography. While this blog has dwindled, I’ve ramped up my attention to Flickr and the community there. Thanks to everybody that counted towards that 1 million. Let’s go for two.